Minced garlic is available in fresh form from a jar, or dehydrated. When you add either form of minced garlic to a recipe, it is ready to use as is. 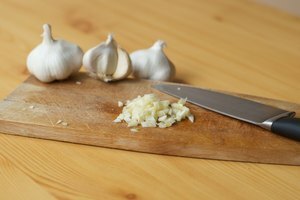 The positive points of using pre-minced garlic is that you do not have to peel and chop the garlic yourself, and both fresh and dehydrated minced garlic keeps longer than whole garlic cloves. 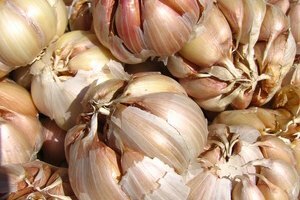 The downside of using fresh or dehydrated, pre-minced garlic is that some cooks believe it is not always an adequate substitute for fresh garlic. If you need to substitute, though, here's the best way to do it. Use 1/8 tsp. of dehydrated minced garlic for each medium clove of garlic called for in the recipe. Add the dehydrated garlic to uncooked liquid, and cook it for at least 30 minutes before serving. Dehydrated garlic, just like fresh garlic, needs time to distribute its flavor, so make sure to add dehydrated garlic to the food early in the cooking process. 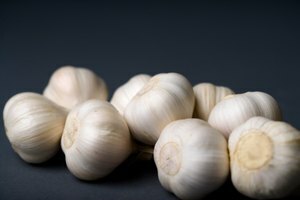 Use additional dehydrated garlic, and add garlic powder for a more potent flavor. 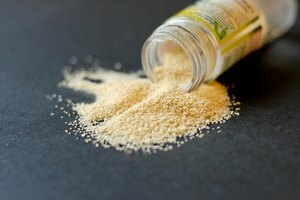 Dehydrated garlic has a weaker flavor than fresh garlic. If you prefer a weaker flavor, stick with the 1/8 tsp. per clove of garlic substitution. Allow the dehydrated garlic at least 30 minutes to rehydrate in a liquid before you use it. Use this method if you will not be cooking a food with the garlic in it, such as if you are using it for salad dressing. 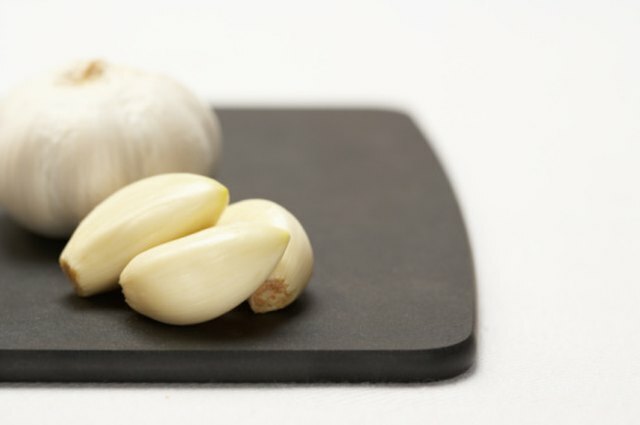 There is no need to soak the garlic in water first, because you do not want to dilute the already mild flavor. Use 1/2 tsp. of jarred minced garlic for every medium sized clove of garlic in a recipe. Jarred minced garlic is raw, so be sure to cook it to evenly distribute the flavor. 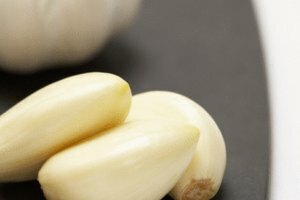 You can use jarred minced garlic exactly the same as you would fresh minced garlic. Krystyna Rittichier has been writing professionally since 2005, when she was hired by her college to spearhead a bimonthly journal. Since 2006 she has been a writer and copy editor for A Pennyfound Production. She holds an associate degree in medical assisting from Indiana Business College.